Eleaf Melo 3 Mouthpiece packs with excellent characteristic of heat insulation. 5pcs each pack. Get them as spare parts for your Melo 3. 5pcs Eleaf Melo 3 Replacement Mouthpiece, the metal mouthpiece packs with excellent characteristic of heat insulation. 5pcs each pack. Get them as spare parts for your Melo 3. 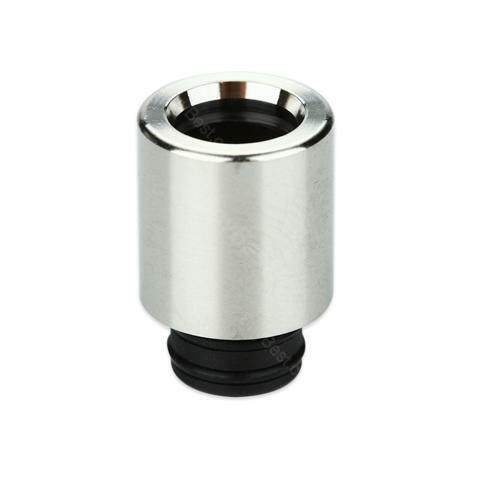 • It's for Melo 3 Atomizer and Melo 3 mini Atomizer. It's been a month. Got what i ordered. Authenticity did not check, in the tank until inserted. In general, everything is fine. Excellent products with fast shipping. They carry a good amount of various vaping items. This should be in the top 3 vaping shops you use.